There are dozens of dental devices on the market, with most of them making false statements. 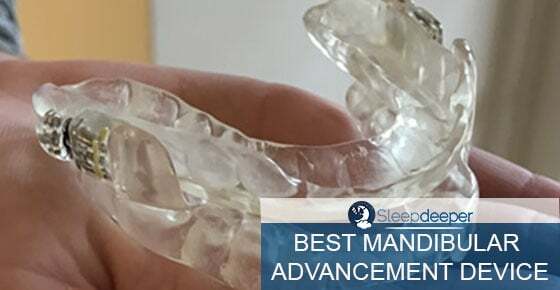 This being the case, how can you find the best mandibular advancement device that can treat sleep apnea just as well, or even better, than a CPAP? Read on for an overview of the top oral devices that can reduce your apnea episodes. Which is the Best Mandibular Advancement Device? 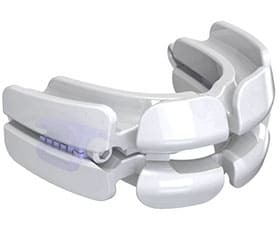 There are various mandibular devices on the market.These are famous snoring mouthpiecegadgets that work by moving and keeping the lower jaw in a forward throughout the night. By doing this, they help keep the back of the throat open. This in turn significantly reduces or completely stops snoring. The best MADs are those that are customizable for your mouth. These devices are comfortable and provide the best results. Do Mandibular Advancement Devices (MADs) Work? A scientific study that involved 20 participants, (who were heavy snorers), was carried out in 2005 to establish the efficiency of MAD snoring mouthpieces. From the study, 65% of the participating snorers tolerated the mouthpieces. The MADs were 100% effective in preventing snoring for them. The study further concluded that the MADs were also an excellent solution to Obstructive Sleep Apnea. The downside of MADs is that they cause fatigue and soreness of the jaws. However, these signs disappear as you get more comfortable in sleeping with the device over the nights. The US Food and Drug Administration has approved most of the MADs in the market as safe for use. However, you should check the safety of materials used to make the model you purchase (should be made of copolymer). Also, follow the manufacturer’s instructions to benefit to the maximum and also avoid any dangers. Unlike Tongue Restraining Devices that come ready to use, fitting MADs can be a little challenging. You might even have to go to the dentist to get them fitted. I first learned of this mouth piece while we were searching for an anti-snore solution for my former college roommate. At first, we were really apprehensive about how effective it would work. After she used it for a few weeks, she confidently reported to us how impressive the device had turned out. We can now confidently say that this anti snore cure will never let you down. 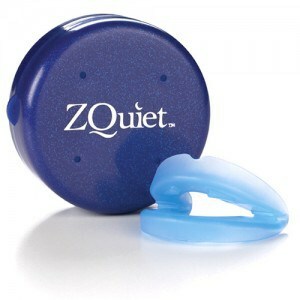 The ZQuiet is the best mandibular advancement device on the market. Being among the pioneer devices in the MAD market (has been on sale for over 8 years) this anti snoring mouth piece has kept up to its reputation. 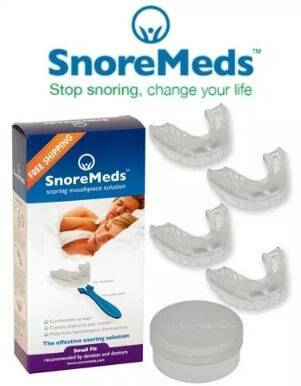 SnoreMeds is made up of FDA approved thermoplastic materials. The MAD comes in two sizes; one for women and one for men. This snoring mouth piece is more affordable than others in its class. However, it performs just as well. Read the full SnoreMeds review. This popular snoring mouthpiece is made of latex-free and BPA materials. The anti snoring mouthpiece has a frame that makes it comfortable even for latex sensitive individuals. Vital Sleep has a wide opening that enables improved airflow. This makes it possible for you to breathe normally throughout the night, hence eliminating snoring. To ensure a perfect fit, the device has a micro-adjustable mechanism that allows you to make the necessary adjustments. The non-intrusive tongue stabilizer is an additional feature that makes this device one of the best MADS in the market. Read full Vital Sleep review. This FDA approved, affordable Pure Sleep Snoring Device is made by two types of materials that are not only Latex free but are also 100% BPA. If you need a device you won’t be allergic to and that will get the job done, Pure Sleep is specially made for you. Read full Pure Sleep review. Featuring a calibrator that allows one to evaluate their perfect fit, an adjusting mechanism for ensuring a comfortable fit and posi lock, Snorex snoring mouthpiece could easily pass as the best MAD in the market. Unlike other devices that make determining a perfect fit complicated, Snorex makes it easy for you to fit. Moreover, it has a posi lock to keep it in place the whole night.